Get your fashion dolls ready for a spooky halloween with this witch crochet pattern! Try the Witch's Hat Pattern for Free! See Fashion Doll Witch Hat. Instructions include how to crochet the following pieces you see pictured to the left - Dress, Knickers with Striped Stockings, Hat, Heels and Broom. BONUS! Free pattern for the little black Kitty is included too! It can also be purchased separately. See Fashion Doll's Kitty. This PDF formatted pattern has 9 pages (1.2MB) and uses US Terms. *NOTE: Crochet pumpkins are NOT included in this pattern. 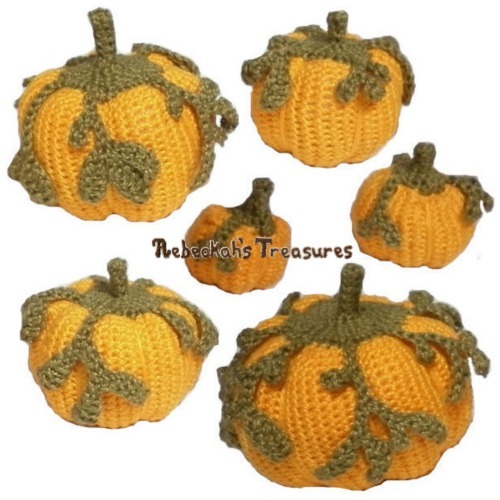 See Crochet Pumpkins Galore!. Hanger - or thick bendable wire. Alternatively, you could use a kabob stick for the broom. Witch costume fits 11 1/2" fashion dolls. The little kitty is 5.75 cm (2.25") in length (not including tail), 4.5 cm (1.75") in height (whilst standing), and 1.25 cm (0.5") in width.